Active living and physical activity are paramount to seniors' health and well being. Numerous studies have indicated that staying physically active, exercising regularly, and participating in leisure activities can help prevent or delay many diseases and disabilities. How Active are Nova Scotia's Seniors? Despite the many benefits of being active, only 30% of Nova Scotia seniors (65+) are moderately active (15-30+ minutes a day). According to the NS Department of Health, the level of activity declines with age and as a result older adults face increased risk of mobility loss, function capacity and most importantly, independence. Encouraging Seniors to be Active! The Department of Seniors collaborates with many other organizations and government departments to promote the importance of active living and physical activity among seniors and to support the efforts of seniors to be active. This project lays the groundwork for improving active living and physical activity levels of older adults in Nova Scotia. 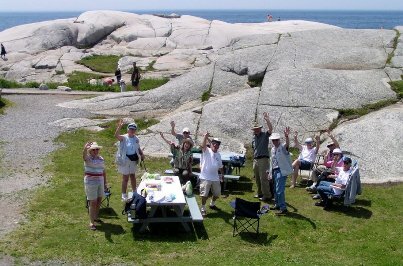 It was led by Recreation Nova Scotia (RNS) with support from and in collaboration with the Department of Health Promotion and Protection and Nova Scotia Department of Seniors. The Connecting Seniors to Active Living Project report includes recommended resource materials and web sites, successful components of physical activity interventions and programs for older adults, results of a needs assessment process that included a survey and series of focus groups, and recommendations based on project findings. The recommendations attempt to address the identified gaps and suggest a more effective means of increasing active living opportunities and physical activity levels for older adults in Nova Scotia. If you'd like to know more about the benefits of physical activity for seniors, the consequences of inactivity and barriers becoming more active you'll find this report is a great resource. It also provides information on physical activity programs for seniors, successful programs, potential partners, and recommendations for government aimed at increasing the physical activity levels of seniors. This report was sponsored by the Department of Seniors and Department of Health Promotion.